The Department of Biochemistry hosts several outreach programs aimed at making science accessible to young students and the general public. 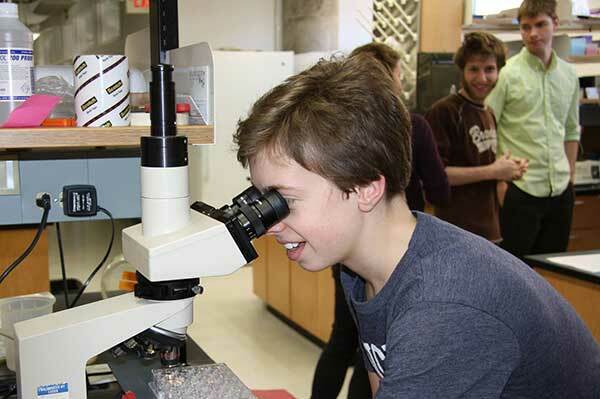 As an example, Project CRYSTAL, established in 2009 in the laboratory of Professor Hazel M. Holden provides an opportunity for motivated middle school students to explore research science in a state-of-the-art laboratory. During the school year four students, selected from a local middle school, spend ~1.5 hours a week in the laboratory learning about and carrying out each step in a research project. The material covered is taught through both interactive lectures and hands-on experiments. More details can be found on the Project CRYSTAL page. The Year 2 research project carried out by the Project CRYSTAL team was published in Biochemistry with middle school students as coauthors. The paper can be found here. The Project Crystal team was also featured in Biochemistry here.